And the Lord said to Moses, “See, I have made you like God to Pharaoh, and your brother Aaron shall be your prophet. You shall speak all that I command you, and your brother Aaron shall tell Pharaoh to let the people of Israel go out of his land. But I will harden Pharaoh’s heart, and though I multiply my signs and wonders in the land of Egypt, Pharaoh will not listen to you. Then I will lay my hand on Egypt and bring my hosts, my people the children of Israel, out of the land of Egypt by great acts of judgment. The Egyptians shall know that I am the Lord, when I stretch out my hand against Egypt and bring out the people of Israel from among them.” Moses and Aaron did so; they did just as the Lord commanded them. 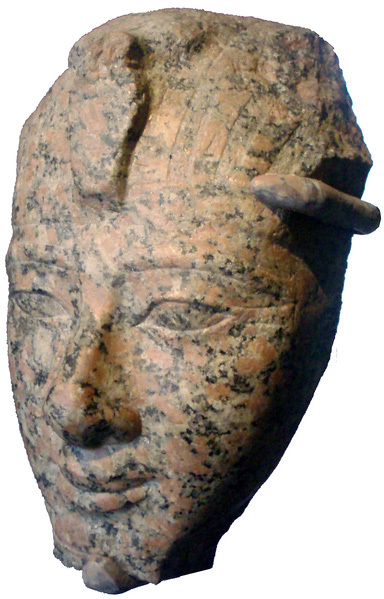 (2) the best understanding is the Amenhotep II’s power did not pass to his eldest son but rather to Thutmose IV, a younger son. This is at least implied in the so-called dream stela found at the base of the Great Sphinx near Memphis. This text, which records a dream in which Thutmose IV was promised that the would one day be king, suggests, as one historian says, that his reign came about “through an unforeseen turn of fate, such as the premature death of an elder brother.” It is impossible to prove, but one cannot help but speculate as to whether this premature death was not caused by the judgment of Yahweh, who in the tenth plague struck dead all the firstborn of Egypt, who were unprotected by the blood of the Passover, “from the firstborn of Pharaoh, who sat on the throne, to the firstborn of the prisoner, who was in the dugeon” (Exodus 12:29). Merrill, Eugene H. “Kingdom of Priests – A History of Old Testament Israel” 2nd Ed. (2008).